The next market in our Network Vision/LTE deployment schedule update series is...Charlotte. The Charlotte market has yet to be announced by Sprint, but is expected to be announced in the near future. Perhaps around the time of the first market launches. The Sprint Charlotte market encompasses all of the Sprint native coverage in western North Carolina. This includes the Charlotte Metro area, Kannapolis, Concord, Salisbury, Gastonia, Hickory, Boone and all the way over to Asheville. Sprint's Network Vision OEM Alcatel/Lucent is scheduled to begin mobilizing in this area with its subcontractors any time now. Completed Network Vision sites should start coming online before the end of July. It was Sprint's original plan to launch markets when they reached 50% of sites converted to Network Vision. However, it has now been determined that Sprint will move up launches sooner than 50% completion in several markets. This is likely to maintain a Mid 2012 launch in markets that have already been announced. However, in an unannounced market like Charlotte, we don't know if they will resume pushing back market launches to 50%, or if they will now settle on a 40% completion to be the new normal for market launches. If Sprint waits for 50% completion to launch the Charlotte market, it would make the launch month to be November (should the OEM stay on schedule). If they plan on a 40% market completion for launch, that would be October. You may think that 40% - 50% site completion is not enough to launch LTE service, but it would provide pretty good coverage. Even Verizon doesn't launch on all sites in a market initially. Usually less than 50%, then filling in with more and more sites every few months. We currently do not have a date that Sprint will formally "launch" the Charlotte market. It is difficult to try to pick a date now this far out. And we know Sprint won't want to do that. But we will take a stab at it. In looking at the schedule as of today, it would indicate an October or November market launch (going on a 40% - 50% completion for launch). But there is no way to know if Alcatel/Lucent and their subcontractors will actually hit their schedule dates this early in the deployment for this market. We will be able to gauge better after a few months of production. AlcaLu will only need to hit a production rate of 50 sites per month to stay on schedule. This appears to us to be an achievable rate. If properly prepared and equipped and if backhaul is ready timely, this market shouldn't have problems staying on time. But this is easy to say before they get started. Photo of Charlotte Airport provided courtesy of Wikimedia Commons. Charlotte airport, I swear they have more delays than any where else in the world. Good news about lte though. This is fantastic news for our area. Thank you so muchfor the update !!! Does anyone know if this covers mooresville, 28115? It seems to stop short of it on the map, but it is covered on other network vision maps. Any help would be appreciated. Thanks. Yes it does. It covers the whole market. However, market launch is just ceremonial. Its a snapshot in time during deployment. Deployment keeps continuing even after market launch until every single CDMA site is converted to Network Vision/LTE. Great, thanks Robert. I was curious also about something else. From what I understand the newer phones would have the three different mhz bands in order to see the changes in the coverages/speeds. If that is the case, What about individuals who have an iPhone 4s, or other older phones? Will we see any changes, such as better building penetration, better coverage in dead spots, increased data speeds, or better pings? Or does it basically only affect newer phones? Thanks again for your help. I apologize if my posts/questions are unorthodox. There are three separate upgrades that are occurring with Sprint. One is Network Vision, which adds improved 3G performance on 1900 MHz and adds 4G LTE on 1900MHz. All Sprint 3G devices will be able to use the improvements at post Network Vision sites. With 20% stronger signals, and much better improved data with new site backhaul. However, only new 4G LTE devices will be able to experience the new 4G upgrades at Network Vision sites. Then, another upgrade is happening where Sprint is adding CDMA 800 to sites. This is happening in a small way now, but will happen in a much larger fashion toward the end of the year. CDMA 800 improves voice coverage and building penetration tremendously. Most Sprint smartphones since 2011 support CDMA 800, and an upgrade will not be necessary for customers to be able to use it when the upgrades arrive if they have a CDMA 800 capable device. Unfortunately though, Apple did not include CDMA 800 support in neither the iPhone 4 or 4S. And it is not even known if Apple will include it with the new iPhone coming up. Apple doesn't bother to try to cover every band that their carriers use. T-Mobile is suffering through this inconvenience now. It is possible that Apple just sticks with 1900 coverage for Sprint. The final upgrade is LTE 800. Sprint will not even begin rolling out their LTE 800 network upgrades until late in 2013 and it will take some time to take over nationwide. LTE 800 will allow better coverage and building penetration for their LTE network and offer an even better LTE experience than just 1900 alone. However, there are no devices on the market now that support LTE 800 at all. Purchasers of LTE devices now will have to upgrade their device again when LTE 800 arrives in order to be able to use it. But this is really not a big deal because LTE 800 usage is not necessary as the LTE 1900 network will still be going along strong. Also, most people won't start seeing LTE 800 arrive in their market until they are approaching the end of their contract anyway. LTE 800 and LTE 1900 will not perform differently. Speeds and pings should be similar with similar signal strengths. It's just that LTE 800 may be more usable in areas where LTE 1900 signal may be faint. On the same token, CDMA 800 will not perform differently than CDMA 1900, it just will be usable in more places. What will be very noticeable is the difference between a legacy 3G site and a post Network Vision 3G site. At a 100% completed Network Vision site, 3G typical performs between 1Mbps and 2.6Mbps and pings in the 75ms - 130ms range. And just for grins, Sprint LTE performance is speeds of 6Mbps to 30Mbps with pings 90ms and less. The huge range in LTE speeds is because LTE performance is very signal strength dependent. Hope this clears up some of your questions. How will LTE device users know when LTE is live? Will we get a text, just keep our LTE data on, or will this site be updated? 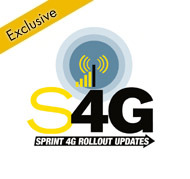 We are constantly bringing updates regarding Sprint's 4G rollouts. And our Sponsor members get some very detailed information including interactive maps. It is not anticipated that Sprint will send texts. In most of the new LTE devices, battery life is the same whether you leave the device in LTE mode or not. Especially on the EVO LTE and the GS-III. I leave my devices in CDMA/LTE mode on all my devices. Leaving your device in LTE mode also allows you to connect to eHRPD, which sometimes provides a performance advantage over 3G EVDO. Hi again Robert. Hope all is well with you and thank you and your team for the work you put into this forum. I've noticed over the past week or so that my ping has gotten progressively worse. I used to get somewhere around 180-200 ms (sometimes even as low as 150) pings in the late night hours, but now find that they are in the 400-900 ms range. Is this attributed to network vision work, or just congestion? Also I was wondering if there were any updates on the Charlotte market. Thanks again. It may be. However, the network will likely get progressively worse up to NV deployment begins. With all these new LTE devices coming out, markets without LTE are getting even more congested on 3G as people leave WiMax and wait out LTE on 3G. I do not have not received any Charlotte market information that differs from what is in this article. I hope for Sprint that they can get some towers going before the Democratic National Convention. As it is, the network gets clogged during rush hour and I sometimes miss calls and my data speeds go to pot. I'm worried that they just won't be able to handle the traffic increase from the bazillion people coming in from out of town. I love Sprint and I really want them to succeed. The DNC could be a big opportunity. anything new with Charlotte rollout? Those on Sprint in Charlotte, how is the 3G data and voice quality in Charlotte? Trying to decide if I'll make the switch to Sprint. 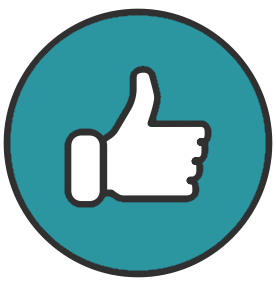 We have had members confirm finding deployment work starting at several sites in the Charlotte area and up in Salisbury. Although it started a few weeks late, it is now under way. I'm not sure when it happened, but Sprint says that I've used nearly 20MB of 4G data. Woo! I was told by the manager of one of the Sprint stores here that they were told that 4G would be live for most of Charlotte in March. I pinged 4G in salisbury yesterday on Jake Alexander around Harris Teeter, so I guess there not just putting towers in Charlotte. My download speed was 21671 kbps and my upload was 7578 kbps. Any Idea or updates when 4G LTE will be available around the Concord Mills/Charlotte Motor Speedway area? You should now start seeing 4G LTE around the charlotte motor speedway area and spread more into Concord soon!